We're sad to see ProfitScraper exit the dropshipping space. We want to make sure ProfitScraper customers can continue to operate their businesses. There, We are offering former ProfitScraper customers one FREE month of PriceYak and 25% off all bills through August. To qualify for this offer, you'll need to validate that you were a ProfitScraper customer. You'll receive an email for verification within a week of signing up for PriceYak. PriceYak began 8 years ago as a proprietary system for Amazon to eBay dropship arbitrage. PriceYak has inspired a wave of look-alike services. But PriceYak's superior speed, reliability and advanced features make it the secret weapon of choice for today's largest dropship sellers. PriceYak is the most advanced automation suite for retail dropship arbitrage. PriceYak supports selling on eBay, Amazon, or Shopify and sourcing from many retailers including Amazon (.com, .ca and .co.uk), Walmart, and Costco. PriceYak's tools automate the operation of your store so you can free you and your staff's time for the most important thing: growing your business. Create thousands of beautiful listings in seconds simply by entering the product ID you'd like to list. 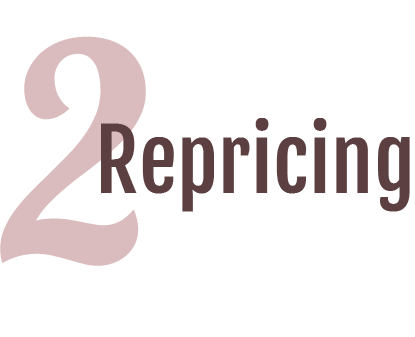 PriceYak's state-of-the-art repricer catches changes in price or availability at the source market extremely quickly then algorithmically adjusts your listing, ensuring you'll never make a sale at a loss or that you can't fulfill. 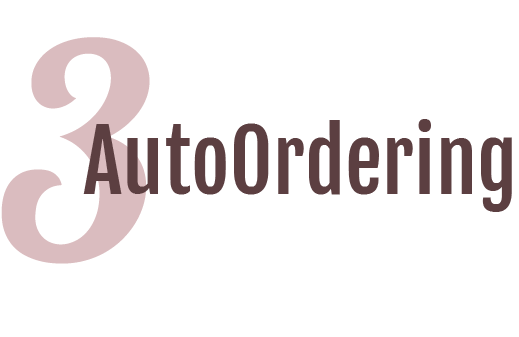 PriceYak AutoOrdering® places the order at the source within minutes of receiving an order from your customer. No hassle, no ordering teams, and minimal risk. More listings means more sales. Paste in 1 product ID (or 10,000), hit "List", and sit back as PriceYak automatically generates complete, beautiful listings and posts them directly to your eBay account (or other store). Editing Your Shipping, Returns, and Payment info. "Review and List" lets you preview and edit listings before they go live. YakPal helps you quickly collect product IDs from retailers, identify specific variants, list directly from retailer product pages, and more. Perform a search, then use YakPal's "ItemID" grabber to generate a list of all matching product IDs. Get YakPal. Learn about the ASIN Grabber Tool. Fully customize your template to make your listings look just the way you like. Fully customize other listing settings using business policy profiles. Editing Your Listing Template. 1) Automatically filters out products that are unavailable or do not match your own custom product filters. 2) Automatically filters out listings that are at high risk of VeRO takedown on eBay based on our comprehensive blacklist (which you may edit) as well as our proprietary risk estimation algorithms. 3) Duplicate prevention, with the option to even prevent duplicates across multiple stores. 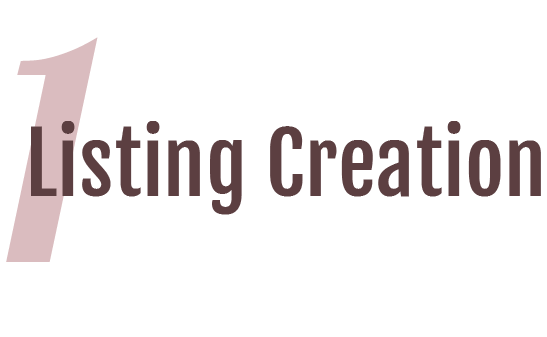 Best of all, listing creation is totally free! Prevent unfulfillable sales or sales at a loss, and maximize profit. The biggest dropship sellers on eBay trust PriceYak because it scales to millions of listings across dozens of stores with no sweat. A snappy interface makes using the dashboard a breeze. Automatically does a "just-in-time" price and quantity check-and-update when a potential customer visits your listing from a computer, preventing sales at a loss, and ensuring that your most popular items are checked extremely frequently. Advanced Price Formulation includes Repricing Ranges, Sales Count Repricing, and allows you to configure different rules for each source retailer. PriceYak also automatically accounts for marketplace fees, has the ability to round up to even numbered prices, and makes it easy to see and tune your settings with Pricing Tester. PriceYak considers all competitive offers for your product at the source retailer, filters down according to your custom offer selection criteria, then reprices against the best of the remaining offers. PriceYak also automatically tailors price check frequency depending on the popularity of the item. Most price updates happen within 20 minutes of the change at the source retailer. PriceYak automatically brings products in and out of stock as availability changes on the source, and replenishes stock as you make sales. You also have the ability to lower the quantity on your listing to match the quantity available at the source, or automatically take items out-of-stock temporarily due to issues with the source. Eliminate your biggest operational hassle. And eliminate mistakes. Automatically place orders on the source retailer as soon as they come in on your store. PriceYak eliminates the possibility of price or stock changing in between the time you receive the order and place it at the source retailer. Automatically uploads tracking information to the source order as soon as it is available from the source retailer. Coyote proxy management system allows you to access multiple fulfillment accounts using the exact same dedicated IP that AutoOrdering uses, eliminating account linkage. Learn about Coyote. Order flow screenshots, detailed error reporting, ability to edit shipping address, and more make it easy to find, fix, and resolve ordering issues. One-click return handling automatically generates a return shipping label at the source and uploads it to the return case on eBay. Learn about Automatic Returns. Let us manage Amazon sourcing for you. Never worry about opening, maintaining, or funding an Amazon account ever again. Scale to thousands of orders a day without compromising your personal account. Tax exempt Managed Accounts also available. Automatically place orders on the source retailer as soon as they come in on your store. PriceYak eliminates the possibility of price or stock changing in between the time you receive the order and place it at the source retailer. Watch how. Store Stats page shows you listing and order counts over time, breakdown of listings by retailer, profit histogram, and more. PriceYak AutoOrdering® works best with gift-code funded accounts. Use our Piranha system to automatically check gift code balance on your accounts and reload with a new code, keeping outstanding account balance to a minimum. Visit Piranha. Bulk Listing Editor lets you tag or edit per-listing settings in bulk with a simple CSV upload. PriceYak has a simple pricing model with no hidden costs or complicated pricing tiers so you can plan for your business's growth. In addition to the classic Amazon to eBay model, PriceYak now facilitates dropship arbitrage between a variety of markets. There is more opportunity than ever to build a fully automated ecommerce business using PriceYak. We're always adding new source retailers, destination markets, AutoOrdering features, Repricing settings, and more! Keep an eye on our Twitter feed and YouTube channel for the latest. You can also visit our support center to learn more about pricing and billing or other topics. New things all the time. Stay updated.